I told myself I was going to relax tonight and watch tv. That was two and a half hours ago right before I jumped on Instagram. Now I feel like I’ve wasted so much time I should just go back to work. Have you ever looked at so many photos of food that you felt sick? Instagram makes that a reality for me now. But photos of booze? Can’t get sick from looking at that. Or maybe it’s just all the screen time making my eyes go funny. Maybe that’s what is making me feel sick. Lately I’ve been wanting to put a ban on having electronic devices on at certain times at home. But with both myself and Christopher working out of the house, attempts to do this have been eagerly thwarted. If your office is in the same structure that you sleep in, then you can pretty much count on a 7 day work week. Unless you have the amazing ability to do such a thing as limit screen time. You, then, are an enigma to me. Regardless, there are always a few minutes in the day when neither one of us is holding on to a device. The best times are when we’re holding on to a cocktail glass and talking about not work things. Occasionally things get so busy around these parts that, to make things easy on ourselves, I batch up a cocktail and keep it in the fridge. It might be a Manhattan for later in the day (and yes, I might have made it at 9 that morning) or the base to something that can get perked up later on with something sparkling. This drink is a little something like that. I had originally written this for Serious Eats as a more Valentine’s Day centered recipe, but I think the sentiment of taking a break from the internet to enjoy another real person’s company is even more fitting for the everyday. Combine sugar and water in a medium sauce pan and bring to a light simmer over medium-high heat, stirring to dissolve sugar. Remove from heat and add tea bags, tangerine juice, and zests. Steep for 6 minutes, then discard tea bags. Cover and let stand an additional 30 minutes. Strain zest and keep syrup in an airtight container in the refrigerator up to 1 month. 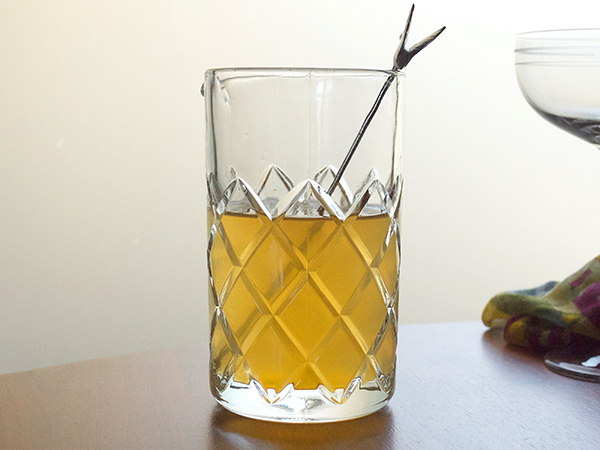 Combine syrup, white balsamic, and gin in a swing-top bottle. Gently swirl to blend. Refrigerate until ready to use. Base will keep up to 4 days refrigerated. 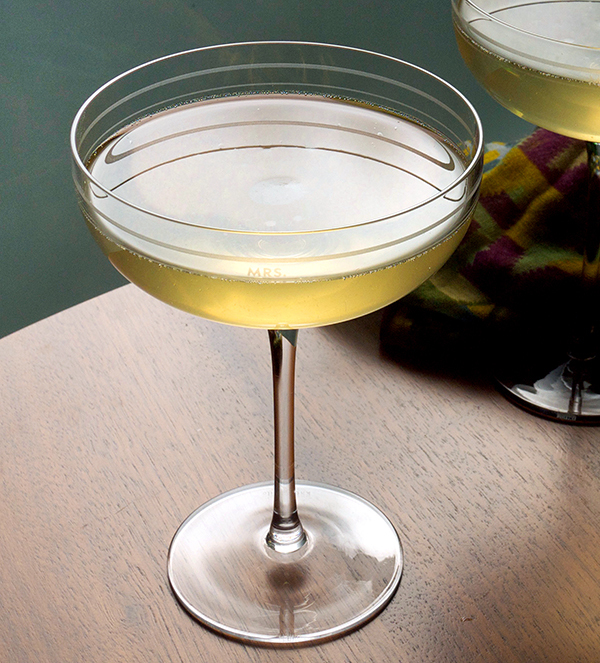 Measure out 2 3/4 ounces of the base into a Champagne flute or cocktail glass. 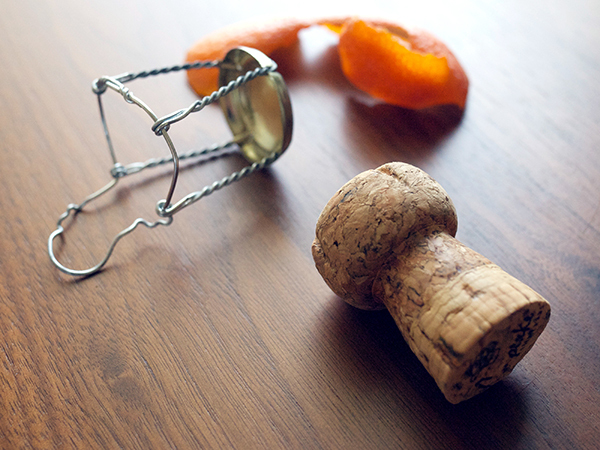 Top with sparkling wine. So yes, I ventured out into the land of floral ingredients here with the chamomile, but it’s subtle and mild. For a sweet note, I used the in-season tangerines, and combining their tangy juice and zest with a good dose of chamomile flowers gives a fragrant sweetness without being too perfume-y. It’s a fresh, tangy base with very subtle floral flavors in the background. To make it more zippy in flavor, white balsamic adds some needed acidity while a London Dry style gin adds another herbal layer with just a touch of juniper in the finish. 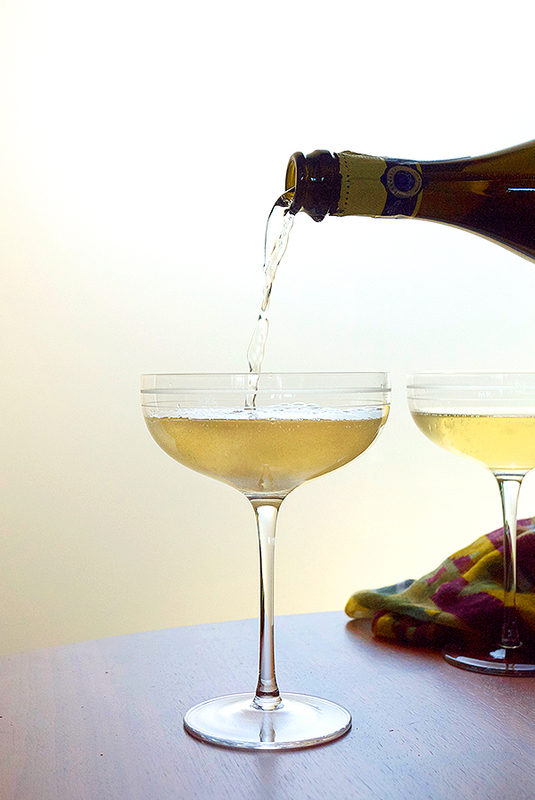 While this base is tasty on its own, it really comes together when you top it off with some sparkling wine. I tried a few varieties and a dry cava brut is best to offset the syrupy base. I’m definitely giving this one a whirl! I’ve got a tangerine tree loaded with fruit in my yard. Just have to locate “white” balsamic …. Thanks for the recipe! I love the smell of chamomile! Reminds me of fresh cut hayfields from childhood. Will definitely make this beverage.